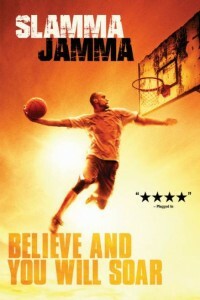 Written and directed by Tim Chey (The Genius Club, Freedom), this inspiring film tells the story of a former college basketball star who tries to start a new life after wrongfully spending six years in prison. Five-time world slam dunk champion and former Harlem Globetrotter, Chris Staples, makes his acting debut playing the lead role of Michael Diggs. Relying on the strength of his faith and conviction to family, Michael faces the challenges presented to him on and off the court in this story of defying all odds. Slam Jamma features a supporting cast of real life sports all-stars including former Dallas Cowboy and NFL legend Michael Irvin (The Comebacks), major league baseball player Jose Canseco (Mail Order Wife) and 5-foot-5 viral-dunking sensation Porter Maberry. The film also stars Ryan Gunnarson (When the Game Stands Tall). “Slam Dunkers” Featurette – Tricks, backboards and much more; watch as these hoopers work to out-do each other!